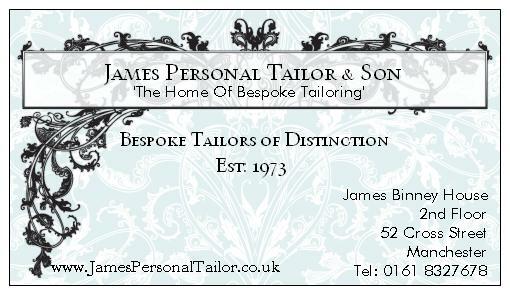 For a brochure request please email brochure@jamespersonaltailor.co.uk and include full name, address and postcode. We are located right above the famous Thomas's Chop House next door to Tommy Hilfiger and diagonally accross from Diesel. 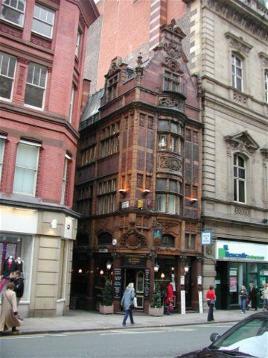 You can either come along to us in Manchester city centre, or if you haven't the time or are along distance away from us, you can do what the majority of our customers do and post your clothing, suit alterations or repairs to us. First of all you need to either ring me up on 0161 8327678 or email me and discuss your alteration or repair , you can even send pictures to me at michael@clothingalterationsmanchester.co.uk so i have a better idea of what repair or alteration is do able. If sending your clothing, please inclose full contact name, address, phone number and the message of what you would like to be done to your denim. But we will defiently get all work returned to you within a two week period from once receiving. or if over the value of £30 by Royal Mail Special Delivery or by Courier, there are a few on the internet who will do it for around £10-£15.